Putting money into an account that you limit yourself access to is a great way to save for a rainy day, prom, or a date. You can also put money away for larger purchases such as a car, college or even an apartment, when you are ready to go out on your own. Whatever the reason, if you don’t start now, you may not have the means to be financially independent. How do I begin saving? It’s actually pretty simple. Collect a majority of the money you have been keeping at home and go to your local bank or credit union. In most cases, you will want a parent or guardian to be a joint owner on your account. A representative will be able to explain the types of accounts that meet your needs. Together, you can determine which account or accounts are best for you. After your first deposit, make sure you are disciplined to always deposit a portion of your allowance, birthday money, paycheck, etc. Do you always have to have a guardian on your account? The simple answer is, “no.” The complicated answer is – if you are under the age of 16, most banks will require it. Since you are not technically an adult, there are certain liabilities (risks) that the guardian can help avoid. However, use your parent or guardian as a resource when you get your account, they will be able to direct you in what is a smart purchase versus an impulse buy. The other advantage to having a guardian on your account is when you are away at college, someone is able to still conduct transactions on your account, if you are in need of extra funds. How will saving benefit me? 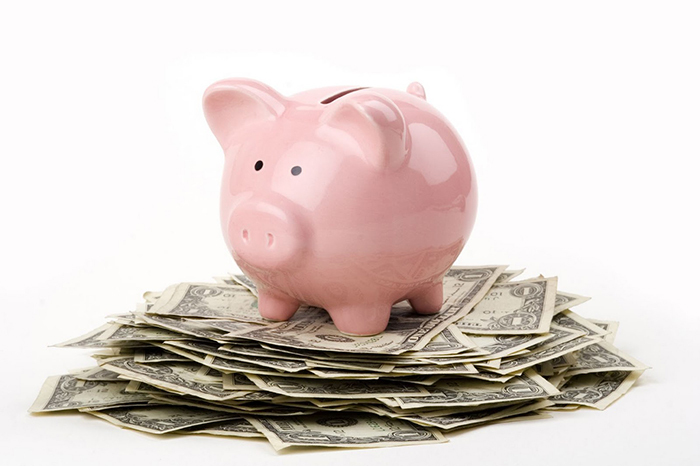 There are countless ways that saving money can benefit you. For starters, it will help you gain financial independence. As discussed earlier, you will have the means to make purchases you may not otherwise been able to. You’ll also take the burden off of your parents and prove to them that you can be self-reliant. Trust me, they will thank you for it. Another benefit is understanding the concept of money. As you begin to save your own money, and spend it, you will begin to appreciate that money truly does not grow on trees. When faced with the question “Can I afford this?” you will find yourself weighing your options of whether this is a need or a want. When you figure out it is a want, you will be less inclined to spend your hard earned money. One final, but not last, benefit to start saving early is teaching discipline. When we talk about being disciplined with your money, it’s not the same as being disciplined by a parent. This type of discipline is defined as, “an activity, exercise, or a regimen that develops or improves a skill.” Once you have become accustomed to saving, you will more than likely continue that into adulthood. Now that you have been armed with the importance of saving early and often, take that next step and start your own path to financial freedom.